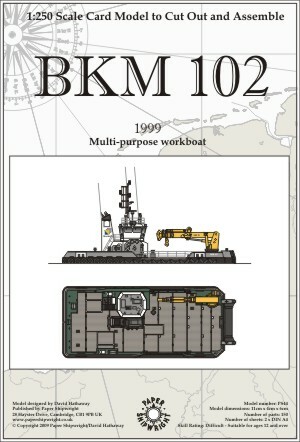 BKM 102 and BKM 103 are typical of this type of workboat in use around the world. Capable of acting as small tugs, anchor handling vessels and general support craft, this type of small ship is increasing popular and many have been built. Launched in 2001 for the dredging company Royal Boskalis, the vessels are equipped with a 15 ton crane, anchor winch and towing winch. 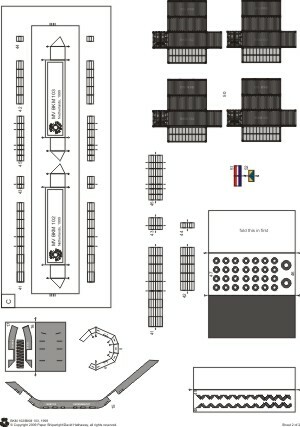 The large flat deck provides a stable working platform and large tanks allow them to carry fuel for other vessels. 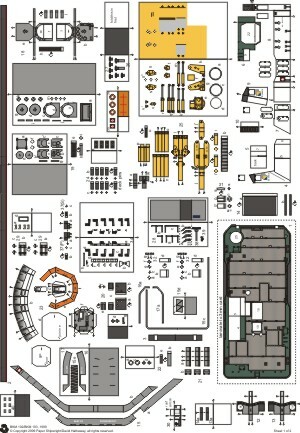 The model allows either BKM 102 or her sister BKM 103 to be built.